You may think you’re Mario Andretti–able to handle the deadliest curve at lightning speeds with nary moment of anxiety. Your passengers, however, may tell a different story–once they pry their knuckles from the dash. And even if you are the best driver that our nation’s byways and highways have ever seen, the truth is that you share the road with idiots–people who drive while their texting, run red lights, and pass on the soft shoulder. Yes, the pavement is riddled with accidents waiting to happen. And you need to be insured. 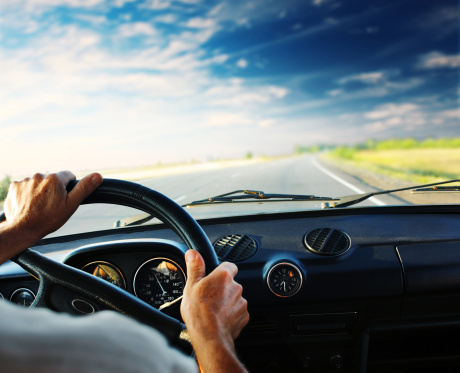 Here are a few automobile insurance options that you need to consider. And don’t forget to check with your state to find out their insurance requirements. Most states require drivers to carry liability insurance–and, even if it is not required, it is a wise investment. No matter how many NASCAR training camps you have attended, you are not perfect and nor are your manoeuvring skills. And liability insurance can protect you from losing everything you own. You can also be found culpable in incidents that have nothing to do with a driving error. For instance, what happens if the kayak you are carrying on your roof rack slips off and damages the car behind you? Thankfully, your liability insurance will kick in and come to your rescue. “How Much Liability Car Insurance Do I Need” states that it all depends on “where you live, how much you stand to lose, how much risk you expose yourself to, and how lucky you feel?” If you can afford it, more is always better. While collision insurance is optional, it may be required if you are leasing your vehicle or have a loan for which the car is chattel. If your car is in an accident and damaged, your collision insurance will pay for the repairs. In the event that your car is a write-off, you will usually be reimbursed what the car was worth at the time of the accident. Some insurers do offer replacement cost policies at a higher rate. Your car is not only vulnerable while it is in traffic. Awful things can happen to it while it is parked, minding its own business. This is where your comprehensive insurance comes into play, covering vandalism, theft, hail, damage caused by animals, and a broken windshield caused by a foul ball. This coverage tends to be pricey, so you will need to weigh the value of your car against the costs of insuring it in this way. You may even be able to lower your premiums by installing a burglar alarm. And, again, if your car is leased or financed, you may be required to have carry comprehensive insurance. As previously stated, you share the road with idiots–and some of these idiots ignore the law and drive with no or inadequate insurance. These uninsured and underinsured drivers leave everyone else at risk–unless you opt for an uninsured/underinsured motorist protection policy. If you are in an accident and the person who caused the mishap has no insurance, you may find yourself out of luck. You could take them to court, but the odds are that if they couldn’t afford to insure their vehicle, they won’t have anything worth suing them for. If you carry an uninsured/underinsured motorist policy, however, your insurer will pay to fix your car, and treat any injuries suffered by you or your passengers. Yes, no matter how skilled you are, accidents can happen. Cars get dinged and people get hurt. So protect yourself against motor vehicle mishaps and stay away from the morons. Have you been involved in a strange automotive mishap?